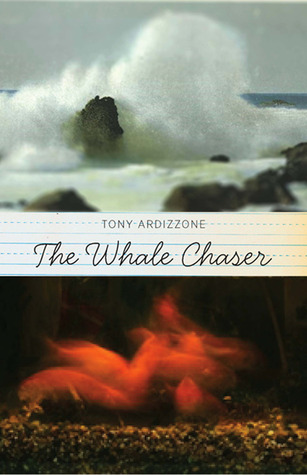 Tony Ardizzone was born and raised in Chicago, and his most recent novel is The Whale Chaser, published in 2010 by Academy Chicago Publishers. Over the years, Ardizzone’s fiction has appeared in numerous literary journals, including The Georgia Review, Ploughshares, The Chicago Review, and The Gettysburg Review, to name a few. A graduate with a B.A. 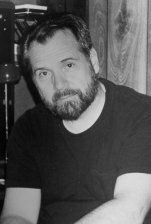 in English from the University of Illinois at Urbana-Champaign, Ardizzone received an MFA degree in Creative Writing from Bowling Green University. He is the editor of four anthologies, including The Habit of Art: Best Short Stories (Indiana University Press, 2005) from the Indiana University Fiction Workshop. Ardizzone lives in Bloomington, Indiana, where he is Chancellor’s Professor of English at Indiana University. He is currently working on a collection of loosely connected short stories set in Rome, with the working title The Calling of Saint Matthew. Tony Ardizzone: I grew up on the city’s near North side. We lived in a basement flat on Webster Avenue, and then for several years we lived in a second-floor flat on the corner of Fullerton and Southport. It was across the street from a bar, and drunks would regularly come inside the doorway to sleep or urinate or walk upstairs to the second-floor landing and bang on our door. Then because my younger sister was born deaf we moved further north, near a school that she could walk to, near Bryn Mawr and Clark. My family still lives there. The neighborhoods formed me in more ways than I can explain. TA: The neighborhoods were always ethnically mixed, and since there were two types of schools, Catholic and public, I somehow had the idea that people fell into these groups, too. One of my friends, Joe Schambari, who lived down the street from the public school and its playground, would befriend those kids and then after talking to them for a while — whatdya got to lose? he’d ask them — he’d then baptize them in his gangway with water from his house’s green garden hose. Yes, Joe later entered a seminary. DA: Is it fair to say your Roman Catholic background influenced you? TA: Immensely. Like Joe, I was an altar boy, and for the longest time I also wanted to become a priest. I took great comfort from the idea that as a Catholic I could sin and then confess my transgressions and start over again, with a more or less clean slate. I liked the concept of a God who was willing to cut me a break. After a couple of missionary priests visited our classroom and described their adventures I developed a hunger for travel as well as hopes of someday becoming a missionary. Of course we were also learning the stories of the early Christian martyrs, and I conflated the two ideas, thinking (and I’m serious here) that maybe if I became a missionary I could be killed for my faith and instantly get to Heaven. In Catholic lore this is called baptism of blood. It seemed to me by far the easiest route to Heaven, which, as a good Roman Catholic boy, was supposed to be my life’s goal, particularly given all the horror stories the nuns told us about Hell. DA: We’re happy you’re still here. TA: The nuns taught us through metaphors, which I always embraced. They said our souls were like pieces of wood (like the cross on which Christ was crucified), and sins were nails (like the ones that were driven into his feet and hands) and confession pulled out the nails (like a claw hammer) but left behind a hole, a gouged-out section, which we needed to fill in with good works. It was a shorthand recipe for life. You sinned, you confessed, you helped others so as to make reparation. All of these plans fell apart when I reached the seventh grade and began noticing girls. Their eyes and hair. The way they swung their legs back and forth beneath their desks. The way everything around them grew brighter when they looked at you and smiled. I realized then I didn’t want a calling for the priesthood. DA: Your interest in reading and writing began early. TA: I always enjoyed reading and on Saturday mornings went to the mobile library van up on Clark Street and carried home as many books as I could. In seventh grade, one of my teachers, a wonderful woman named Miss Spagnola, saw something in me and during the fall parents-teacher conference said something to my folks that made them look at me differently. She told them, “Don’t throw this boy away.” What she meant, I think, was that they should consider sending me to a college-prep all-boys high school as opposed to the neighborhood co-ed high school. I can remember my parents coming home from the meeting and my fear that I was in trouble, since most of the time in school I was bored senseless and inevitably got into trouble. I went to an all-boys Christian Brothers high school just beyond the north edge of the city, a few blocks past the end of the Clark Street bus line, in Evanston. I was placed in the honors track — four years of math, four years of science, honors everything, topped off by AP Physics and Calculus — but out of the thirty or so kids in the track I ranked clearly at or near the bottom. Whereas in grammar school I was one of the smarter boys, in high school it was nearly as if the teachers and other students were speaking a different language. Most of the rest of the honors kids were from the suburbs, and several were absolutely brilliant. Nearly all of my friends from the city, the kids I rode the Clark Street bus with each morning, were happily placed in the lower tracks, where they could lay low in the middle of the pack. I had to struggle but I eventually got by, mainly with Cs and the occasional B. In high school I turned away from math and science and was increasingly attracted to writing. On the weekends when I wasn’t working, my friends and I would go down to Old Town, and we’d always stop by Barbara’s Bookstore on Wells Street. I loved hanging around the place. It was where I first heard jazz. It was where I discovered Beat poetry and the work of Lawrence Ferlinghetti and Gregory Corso and Jack Kerouac, and all the others Beats and hipsters. I carried a bent-in-half copy of Coney Island of the Mind around in my jacket pocket for years. I spouted random lines I’d memorized to confused girls I met at dances. With every bone in my body I wanted to be a poet, a Beat poet, a cool hipster, a dharma bum. DA: Have to ask about your most recent novel, The Whale Chaser. How does a kid from Chicago end up with such an interest, and such knowledge, about whale guides? TA: The good sisters of Christian Charity would say that God works in strange and mysterious ways. While I was teaching in the non-residency MFA program at Vermont College I met a wonderful friend who told me he had a house on one of the San Juan Islands, which lie north of Puget Sound, up near the Canadian border, in the waters near Bellingham, Washington. He invited me and my family to go up there for a few weeks each summer. We’ve been doing that now for the past fifteen or so years. Soon we were exploring Vancouver Island, and I made my way over the mountains to the coast, to a little town called Tofino, where a good half of The Whale Chaser is set. There I became friends with former fishermen and whale guides. I hung out with them whenever I could. Eventually I had the idea to write a book about a boy who leaves Chicago for Canada’s West Coast. In the book’s first draft the first sentence I wrote was: “Like my father and my grandfather, I draw my living from the sea.” Since Chicago is clearly inland I then knew I had to come up with a story that connected the grandfather (a fisherman born on the western coast of Sicily) with the father (a Chicago fishmonger) and the son (a runaway, who eventually becomes a whale guide). So I took the grandfather from Sicily to Monterey, California, where in 1942 the entire Italian-American fishing fleet was wiped out as a result of the bombing of Pearl Harbor, and the seizures of the Italians’ boats because it was feared they might be spies who’d help the Japanese, as well as the internment and relocation of hundreds and thousands of Italians. Citing that bit of American history helped me lay out the novel’s back story, and it also worked artistically since the boy completes the arc of the grandfather’s western quest as he came to the Americas. DA: Your mastering of the craft of fiction was confirmed by winning The Flannery O’Connor Award for your story collection, The Evening News: Stories. TA: I was very lucky that a truly great editor, Charles East, selected my first book of stories for the O’Connor prize. Previously I’d published a novel, In the Name of the Father, with Doubleday. But even though I’ve now published four novels, I find myself continually drawn to the short story as a form. DA: You were the first in your family to go to school. TA: If you mean college, yes, I was what they call nowadays a first-generation college student. My grandparents were Sicilian immigrants who couldn’t read or write. My mother was sent to a trade school, not an actual high school. I was quite fortunate, really, to be able to attend the University of Illinois at Urbana-Champaign. There, I gravitated toward writing. I still hoped to become a poet but my teachers suggested that I was actually more a fiction writer, though they implied I was approaching fiction the wrong way, coming from poetry, from the lyric side, as if poetry and lyricism were a sort of back door. DA: You graduated with honors, but I believe there was a bit of a catch. TA: This was during the late 1960’s and early 1970’s, and I was very much influenced by all that was going on at the time and, specifically, by the Vietnam Veterans Against the War, who came to campus and talked frankly about Vietnam and their experiences there. It’s all too popular today to think that all Vietnam veterans were tough, pro-war heroes (even though many were and are) and all anti-war protesters were spineless wimps. Credit or blame the missionary zeal the priests and nuns gave me, but I worked hard helping to organize and attend dozens of peaceful, anti-war activities. I was arrested during the 1970 Moratorium marches on Washington, D.C., where protesters tried to slow the city’s traffic by walking peacefully across the streets, and then later that same spring I was arrested for taking part in a peaceful sit-in at the University of Illinois Student Union, which is completely funded by student fees, and where a group of students and faculty was protesting the presence of recruiters for the Marines. Our argument was that since the building was entirely student-fee funded, we had a say in how the place could be used. The previous year one of the professors among us, who was also arrested that day, was badly beaten by the police behind one of the Union’s loading docks, and during another demonstration some of the protesters threw rocks through several of the Armory’s windows, so tensions on campus at that moment were high. The demonstration itself was a simple sit-in. We sat on the floor outside the Marines’ recruitment booth and chanted anti-war slogans. Pro-war students tested us by making their way toward the booth to talk to the recruiters, and in every instance we slid over to give them room to pass us. We let anybody walk by who wanted to walk by. As demonstrations go, this was perhaps the most peaceful one I’d ever participated in. But apparently the Marines felt it necessary to call in the local police, who approached each of us in pairs and gave each of us the option to walk away without consequence or be arrested. I considered it a matter of conscience to allow myself to be arrested. I thought it would be cowardly of me if I were to stand up and walk away. DA: But not without consequences. TA: The press labeled us “the Champaign 39,” after the Chicago 7 trial up in Chicago. Later that spring the university held hearings on the incident. They brought in an independent hearing officer from downstate, a lawyer named A. J. Rudasill, who often wore a white suit and smiled politely and tried to joke with us during breaks. Several understood the hearings were a sham and referred to them as Rudasilly’s Circus. Predictably, the end result was that everyone involved was dismissed from the university. Each professor was terminated; each grad student lost his or her funding; each undergrad was expelled. By this time I’d completed all of my required course work, so the worst the university could do to me was to withhold my degree. And this was only the university’s action against us. We still faced trial in the courts. TA: At the time I was planning to go to graduate school out west, and I’d applied and been accepted to the MFA programs at both the University of Oregon and the University of Montana. I was trying to decide whether to go to Eugene to work with Richard Lyons in fiction, or to Missoula to work with Richard Hugo in poetry. But without a degree in good standing, and being under court order and out on release on my own recognizance, plus saddled with student loans, I had no other choice but to give up my plans. To be honest I spent a good month in a funk and a haze of smoke and cheap wine. Then I sucked it up and with the court’s approval moved to Chicago, where with the help of a friend I was lucky enough to find a job, teaching basic writing skills at an experimental inner-city high school on Chicago’s near West Side. All the while I kept writing. I remember telling Paul Friedman, one of my professors at Illinois, about my change of plans and then asking him how could you tell if you were a real writer. He smiled and said, Well, it’s not just a matter of being in an MFA program. It’s whether or not you keep writing. I kept that in mind and wrote as much as I could during those two years. DA: Then off to graduate school. TA: There was a program through the high school where I taught that allowed me to take free courses at the University of Illinois at Chicago, then known as Chicago Circle, and through the program I took graduate workshops and classes with John Frederick Nims, Michael Anania, Eugene Wildman, and Ralph J. Mills. Both Nims and Anania encouraged me toward fiction, and later I applied in both genres to the MFA program at Bowling Green, in Ohio. I figured I’d let the admissions committees decide what I was, or what I would be. Though I was accepted in both genres, the head of the fiction program, Philip F. O’Connor, called me and told me in no uncertain terms that in his opinion I was a fiction writer, and he wanted me in fiction. Music to my ears. DA: You were fortunate to have good teachers. TA: I owe my teachers more than I can say. As an undergraduate at Illinois I was able to work with Daniel Curley, Paul Friedman, and George Scouffas. At Bowling Green I worked with Phil O’Connor, Robert Early, and John Clellon Holmes. Each helped me understand more about myself and my own work than I ever could have possibly figured out by myself. And since John Clellon Holmes was a Beat writer – his novel, Go!, was the first novel written about the Beats as well as the basis for Dexter Gordon’s later album of the same name – in a curious way my literary life had come full circle from the Saturday afternoons when I listened to jazz and looked at books by the Beats back in Barbara’s Bookstore on Wells Street. DA: And a college teacher’s career arrived. TA: I was very lucky as I saw what I thought were disparate parts of my life come together. Because I’d taught high school on Chicago’s West Side, and had two full years to make countless mistakes in the inner-city classroom, I found teaching composition at Bowling Green fairly easy. And because of my background, the composition coordinators assigned me the sections in which they’d segregated the students from the more urban, disadvantaged backgrounds. Put bluntly, these were intentionally designed sections composed mainly of students of color who’d previously failed to pass the course’s required proficiency exam. The students and I got along fine, and after our work together they did so well on their proficiency exams that Bowling Green hired me as an instructor after I’d completed work on my MFA. They had me teaching nine sections per year, eight of which were composition, with each section meeting four hours a week, and with each student writing seven essays. Nearly every new MFA who gets a job like this has a similar story. I woke up at dawn to write for a few hours and drink coffee, then gave myself over to the job, where I became a theme-grading machine. Somehow over the three years that I worked in the composition mines I was able to write a novel that Doubleday published, and the publication and good reviews led to a tenure-track teaching position at Old Dominion University in Norfolk, Virginia. I had a somewhat easier course schedule there (only eight courses annually instead of nine) but I was also charged with founding a creative writing program, and I served as ODU’s program director for nine years. AWP had just moved its offices to the university, so I served on the AWP Board. I was also frequently asked to direct the school’s annual week-long literary festival. It was a lot of work but through it I was able to invite a lot of writers whose work I truly loved, including Gwendolyn Brooks, Allen Ginsberg, Ken Kesey, Raymond Carver, Lucille Clifton, Robert Bly, Toni Cade Bambara, Amiri Baraka, Maxine Hong Kinsgston, David Bradley, and many others. DA: Your teaching also led you to some interesting places. TA: In fall 1985 I was able to teach at Mohammed V University in Rabat, Morocco, as part of a faculty exchange sponsored by the United States Information Agency. As I was leaving my office one day a colleague who was the head of the International Studies Programs said, Hey, Tony, do you want to go to Morocco? I said sure. What writer wouldn’t? He said, Good, come in here and help me write this grant. We worked on the grant for two years. DA: You put your experience to good work with the publication of your book, Larabi’s Ox: Stories of Morocco. TA: I hadn’t intended to write about Morocco, but while I was there I kept a journal, and after I came back to the States I found myself writing at first one story set in Morocco, then a second, then a third that combined the characters from the first two stories. I had one of those eureka moments. I added two women to the third story and knew at that moment that I had a book. Two years later I returned to Morocco for more research since the female characters I’d added wanted to go to parts of the country I hadn’t yet visited. DA: You also were given the opportunity to participate at a conference in Croatia, where you gave readings from your baseball novel, Heart of the Order. TA: This was shortly after I arrived at Indiana University. It was a lesson in humility. I didn’t realize until the lecture how incredibly difficult it was to explain the rules and nuances of baseball to an audience who had absolutely no idea of how the game was played. Try explaining a double off the right-field wall with runners on first and second to an audience whose understanding of sport equates scoring with crossing some line with a ball. DA: I guess it would be fair to say you discovered a home base at Indiana University. TA: I’ve been here since 1987 and over the years served two stints as Director of the MFA Program in Creative Writing. I teach the graduate fiction workshop in rotation with the other fiction writers here, and I also teach courses in narrative craft, creative writing pedagogy, literary interpretation, ethnic American literature, 20th century American fiction, as well as a good number of undergraduate fiction workshops. I genuinely enjoy teaching and agree with teaching writers like John Gardner, who in one of his books wrote that only a talent that doesn’t exist can’t be improved. I spend a lot of time with my writers in conference, and we often discuss drafting strategies. I’ve come to believe that learning about the process of writing is as important if not more important than learning aspects of narrative craft. DA: Is that why you titled the fiction anthology you edited The Habit of Art? TA: Yes, precisely. Flannery O’Connor popularized the term, which she took from her readings of the philosopher Jacques Maritain, and which she discussed in some length in her famous lecture turned essay, “The Nature and Aim of Fiction.” As I understand it, the habit of art concerns a quality or virtue of the mind that O’Connor suggested the writer needs to cultivate and practice, a process similar perhaps to yoga or meditation, or even prayer. In the rare moments when I’m at my very best, that’s what I try to teach. So I put together an anthology, The Habit of Art: Best Stories from Indiana University Fiction Workshop, to celebrate the 25th anniversary of Indiana University’s MFA program. DA: You also were a recipient of the annual Tracy M. Sonneborn Award, which is awarded annually to an Indiana University faculty member for exemplary research and teaching. TA: That was a surprising honor. I was happy to be nominated, let alone receive the prize. DA: You also taught at the low-residency program at Vermont College. TA: I taught in Vermont College’s wonderful program for seven years and really enjoyed working with the mix of writers that only a low-residency program can assemble. When I began directing the program at IU I realized I had too much on my plate and had to resign. Now I hope to be able to work with another low-residency program. Let me know if you hear of any program that might like my help. DA: What are you working on now, aside from preparing for a teaching position in a low-residency program? TA: For several years I’ve been traveling to Rome, both because it’s an absolutely marvelous city but also to do research for a book of interconnected stories, their subjects and conflicts generated by one or more of Rome’s churches. If you know Richard Hugo’s The Triggering Town you know what I mean. I’m using aspects of various Roman churches as triggering subjects. The book’s working title is The Calling of Saint Matthew, after the famous painting by Caravaggio in San Luigi dei Francesi. The manuscript is now well over 200 pages. I hope to be able to complete it and its revisions by early next year. DA: Perhaps I’ll end by mentioning your gem of a novel, In the Garden of Papa Santuzzu. TA: After I finished writing my first novel I wrote another, one I never published, but in it were the seeds of sections that later grew into the dozen or so voices that narrate In the Garden of Papa Santuzzu. The book is about a poor Sicilian sharecropper named Santuzzu, the father of seven children, who wins a nearly useless donkey in a game of cards. The incident gives him the wild idea that he can possibly change his fate, or perhaps the fate of his children. So he sends them one by one to the Americas. Their voices and memories and experiences and hardships and dreams make up the book. Perhaps no other book is closer to my heart since I dedicated Papa Santuzzu to my grandparents, who immigrated to the Americas from Sicily, and to all the others who made the journey with them. DA: And your future plans? TA: I still want to move out west. Maybe I need to complete the journey I dreamed about taking back when I was an undergraduate. I can pass through Missoula and toast the memory of Richard Hugo, then drive on to Oregon and likely settle in Portland. And maybe once there I’ll drive down to Eugene and look up Richard Lyons, who saw something in my fiction so many years ago. There are plot points in our lives that beg return, aren’t there?